Kyle Dine’s Spring Tour – It’s Booking Time! That’s right folks! 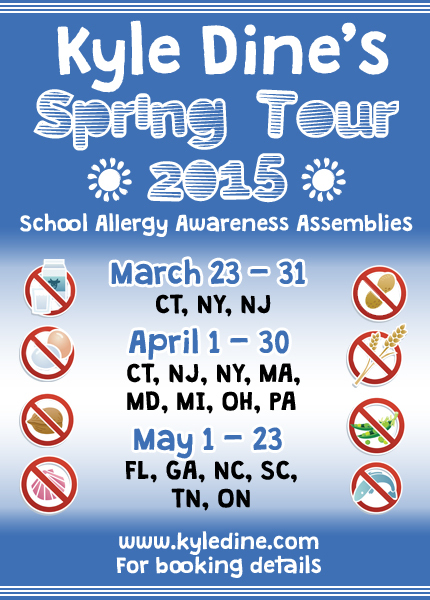 This spring I will be back on the road helping schools raise food allergy awareness amongst their students with my fun and educational assemblies. This fall was fully booked 6 months beforehand, so I urge interested schools to get in touch ASAP to confirm a spot in the two months I will be touring this spring.